Enjoy great conversations, endure long bouts of boredom, and establish your position as the most invested in television shows! 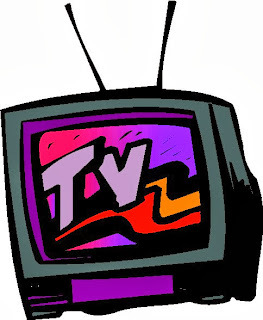 Have you ever wondered why we all are drawn to television? Why is it that we constantly get in these spaces that are not only time consuming but, very attention vested. Why is it we can flip through channels and there's always those certain shows, movies, or even commercials that grab us and make us stop? For some it is truly boredom that drives us to such things and for others it is merely curiosity. True story, a couple days ago on Sunday evening, I was with my girlfriend and her family relaxing after a very fun beach retreat in sunny Florida. The day progressed and as the evening came we all gravitated towards the television. Now, naturally I have little to no interest into television itself, however it was socially acceptable at the time, so I accepted. I happen to only catch glimpses of the shows and I was already emotionally invested and on the edge of my seat! Wizards, pirates, powers, love, swords, and dancing were all there in a television show and formulated around suspenseful cliffhangers with gorgeous music. It was truly amazing! It is this experience that I think makes people so invested in television. What is your experience with television and what do you think makes people gravitate towards it? Leave your comment below!